The Grassroots Business Fund works to reduce poverty by building companies in lower-income countries which provide sustainable incomes for poor populations. In order to highlight their story, the content was reorganized and custom illustrations were created. 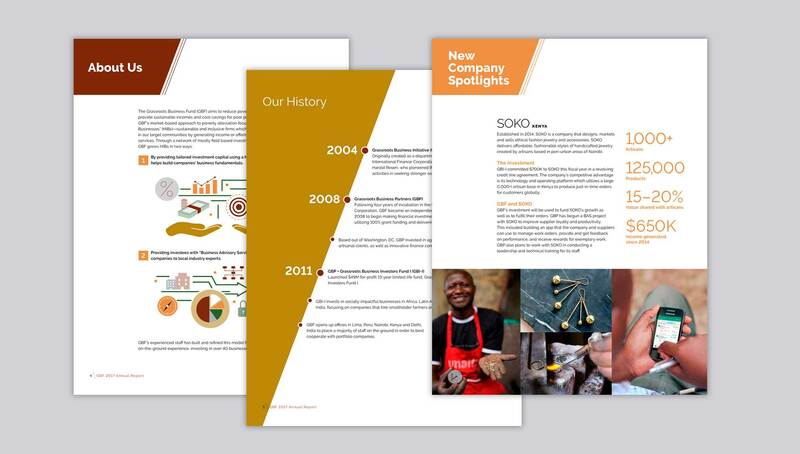 Their 2017 annual report features a culmination of their history, learnings, performance, and social impact.